Imagine coming home to your own private oasis. We’re talking about a space that not only invites, but comforts you after a long day of work. Our ensuites are capable of providing a spa experience in the comfort of your own home. Let’s take a look at some of the ensuite options available to you. Who knew stepping into a shower could feel so luxurious? We’ve tiled the oversized shower found in our Cedarville show home from top to bottom to add a dramatic touch within the ensuite. Not only does this space give you room to breathe, the presentation is immaculate. 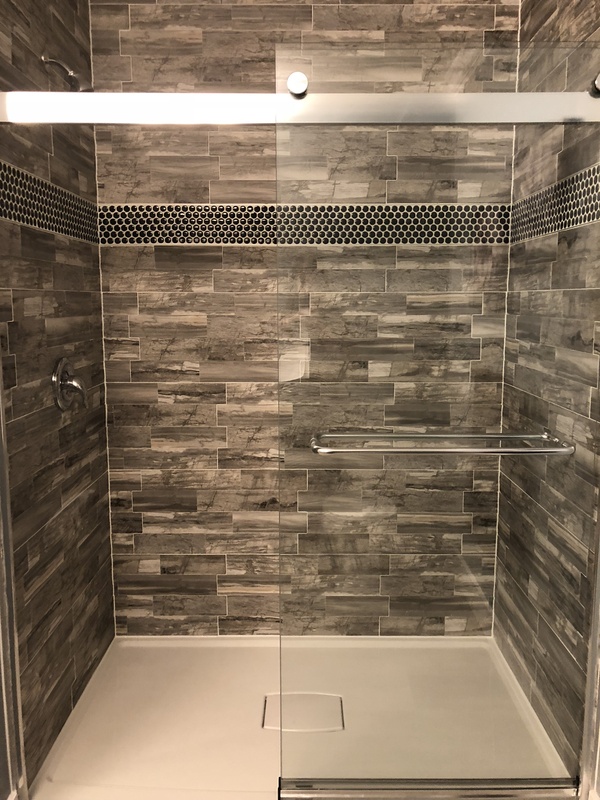 See how this tiled shower fits into this one of a kind home here. The ensuite in the Kimberley has been designed with both beauty and practicality in mind. In this space, you and your significant other will be able to seamlessly get ready for work in the morning courtesy of double sinks, full mirrors and your own storage space below. 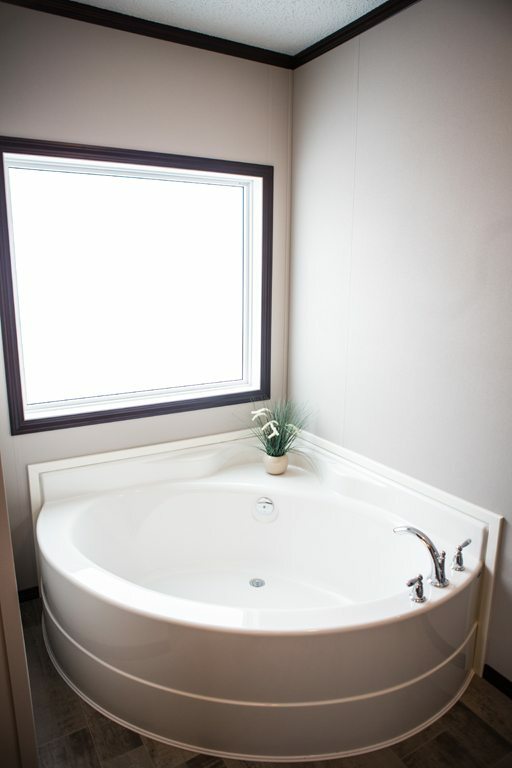 We came full circle with this inspiring ensuite by giving you a shower/tub to relax when you come back home. The Summit is already a show-stopper, but have you seen it’s ensuite? Marvel in luxury while you soak in a raised jetted tub with space to hold candles or your favourite bubble bath! This ensuite still packs practicality by including a separate stand-up shower for every day use. With enough room to add a small seated makeup station, this ensuite is what your dreams are made of. We have dream ensuites that suit any lifestyle. Take virtual tours of over a dozen show homes on our website and find your perfect ensuite. The Langford is one of our modest 1680 sq.ft. floorplans that comes with an impressive ensuite. Enjoy counter space with built-in linen storage along with a large oval soaker tub. We’ve also added an oversized window to let in tons of natural light! 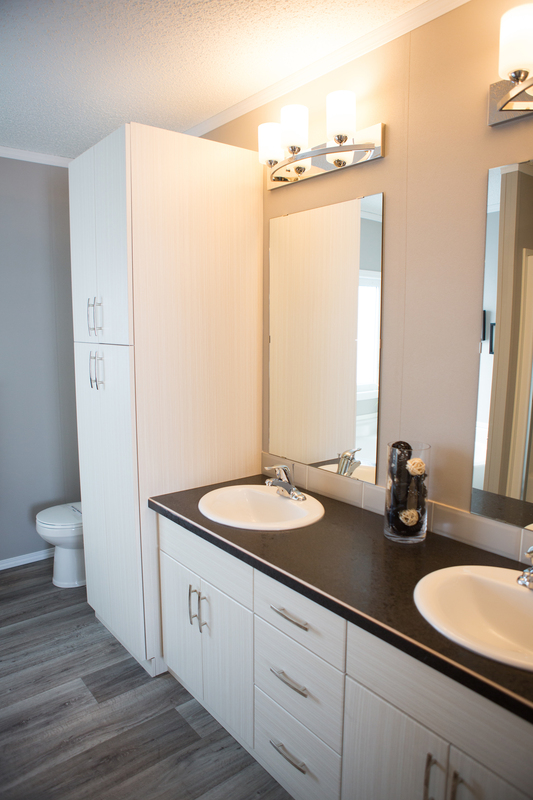 The ensuite in the Oakwood is jam-packed with impressive functional features. You’ll find dual sinks with enough room to comfortably store your toiletries, a large linen closet, a separate stand up shower and jetted oval tub. Yes, we’ve placed all of those things in one inspiring ensuite.